C. Jane Kendrick: Where Has the Magic Gone? 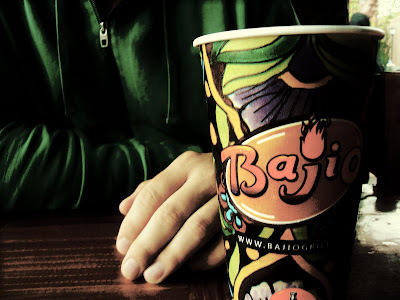 Chup took me to lunch at Bajio's today to tell me some bad news. It is about the "magic" in my Magic 8 Ball. He claimed to have indisputable evidence that my Precious Object is a not a Divinely Guided Medium with Floating Answers to the Great Beyond. In actuality, it is filled with nothing but--are you ready for this?--water and blue dye. Click here to have your heart broken.